Oklahoma is having 100th observance of women voting! More about 2020 centennial! Support the permanent exhibition of the “Spirit of 1776” suffrage wagon at the New York State Museum! on Vimeo. Show support for the New York State Museum in Albany, New York putting the “Spirit of 1776” suffrage campaign wagon on permanent exhibit after the 2020 national suffrage centennial when American women will have been voting for 100 years. Oklahoma is observing 100 years of women voting during 2018. Part of the observance was encouraging citizens to vote. Reminder: 2020 Centennial magnets and pins featuring the WVCI 2020 torch are now available at 2020centennial.org/shop. The image above shows how each appears on the presentation card. Pins are $2.50, 10 for $2.00 each, and 25+ for $1.75 each. Magnets are $3.00 each, 10 for $2.50 each, 25+ for $2.25 each. Thanks to the National Women’s History Project, a founding member of WVCI, for agreeing to manage the orders for WVCI! 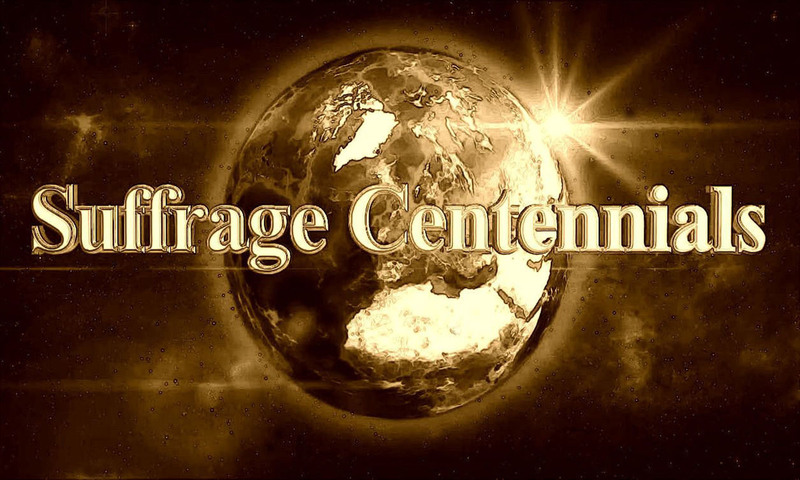 Follow SuffrageCentennials.com by way of email, Twitter, and Facebook. Get ready for the women’s vote centennial. Some also call it the votes for women centennial. Or the 2020 women vote centennial. Whatever you call it, are you putting all your ducks in a row? This entry was posted on November 17, 2018, in Blog and tagged "Spirit of 1776", suffrage wagon. Bookmark the permalink. ← The Suffrage Centennials quarterly newsletter has a sign up application!